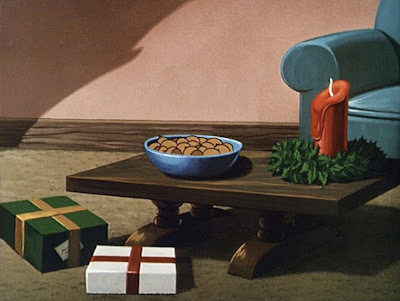 Here's a special holiday treat. 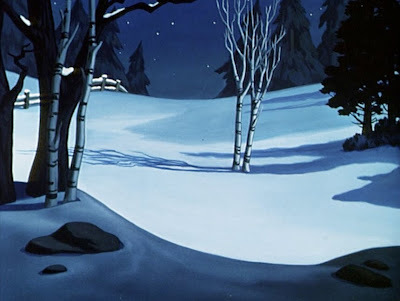 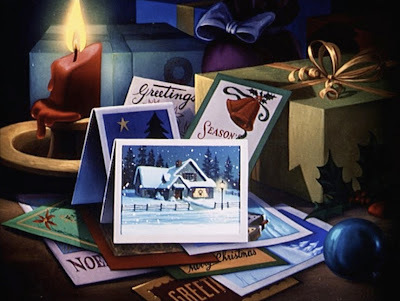 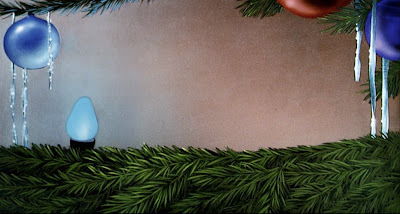 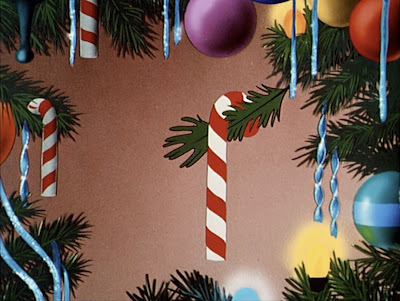 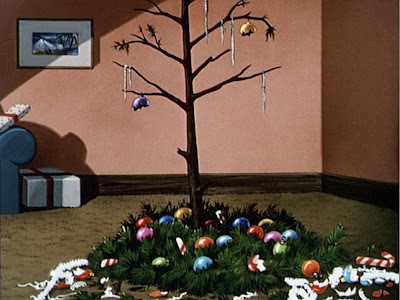 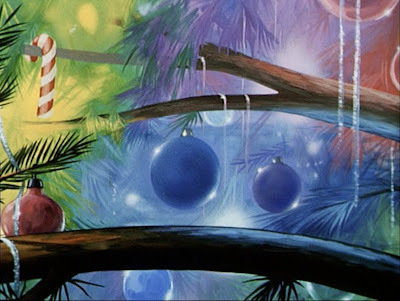 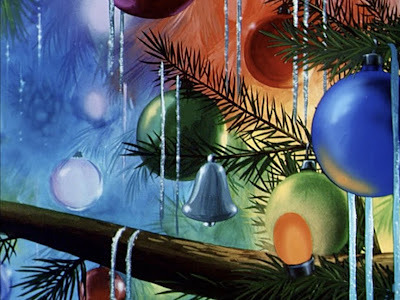 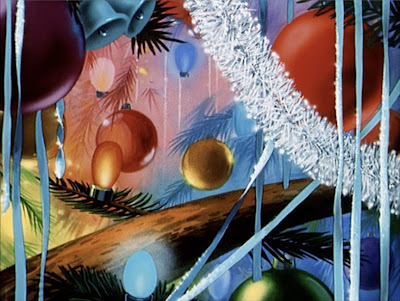 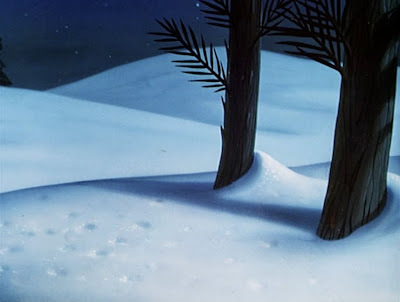 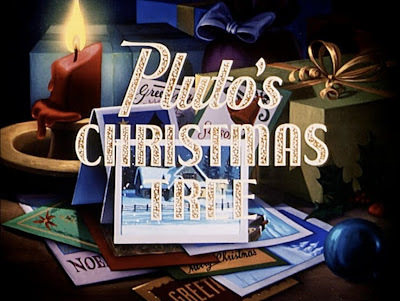 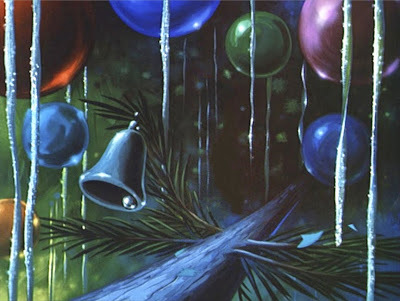 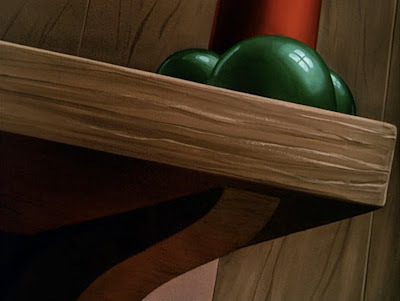 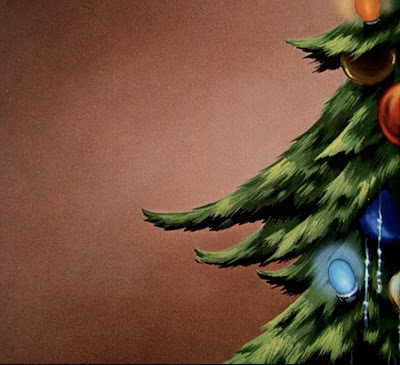 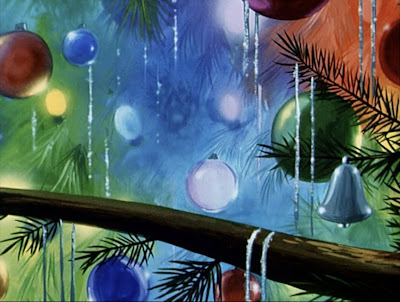 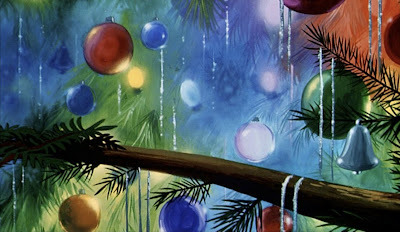 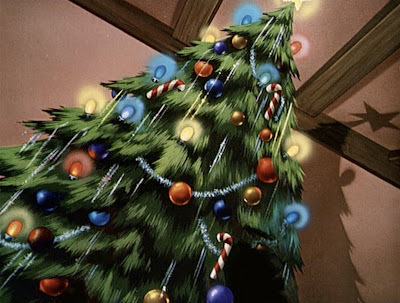 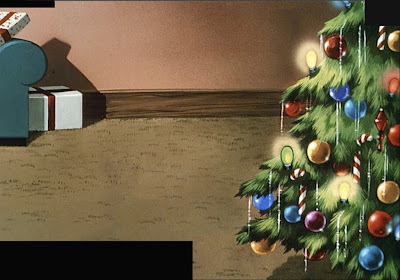 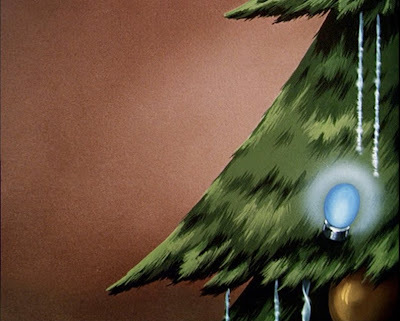 In one post, a comprehensive collection of digitally re-assembeld background art from PLUTO'S CHRISTMAS TREE (1952). 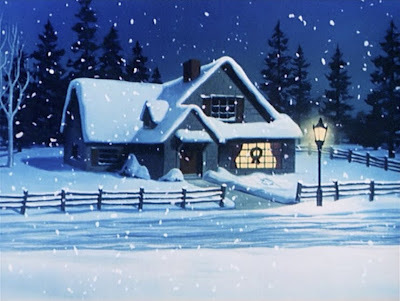 Here's a re-created pan of Mickey's front door. 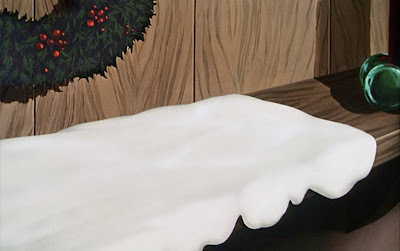 Snow effects too! 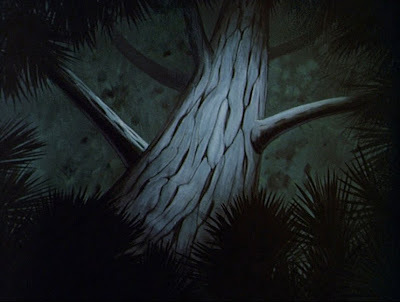 Inside the tree. 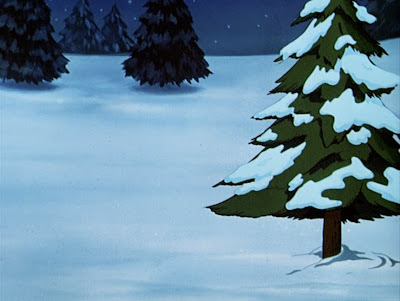 Looks cold,doesn't it? 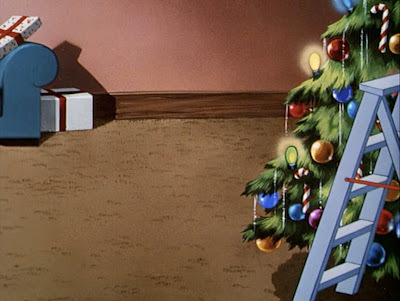 Mickey stands on the ladder to decorate the tree. 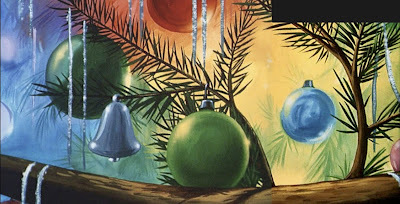 This sequence features a fade in, and the one "cel" ornament is in place before the fade ends. 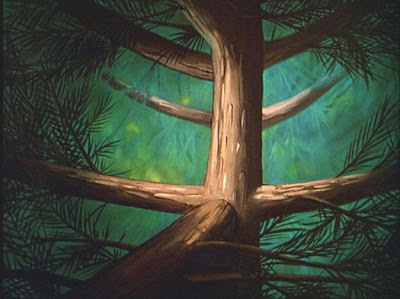 I actually hand-painted some Photoshop restoration to complete the ladder! 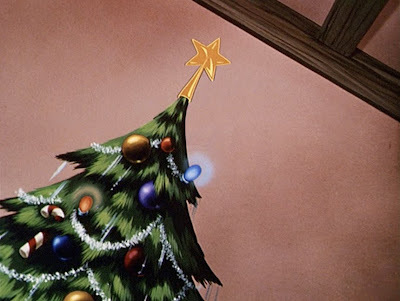 Inside the tree, in Mickey's living room! 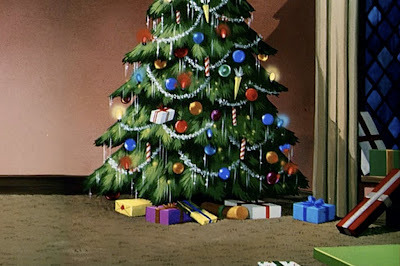 Next, a series of views of the tree, inside and out! 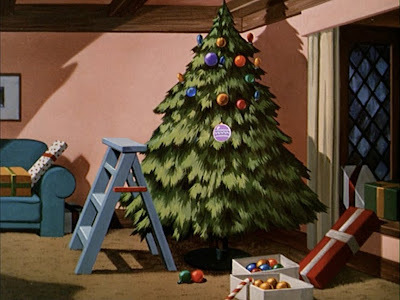 A huge left-to-right pan across Mickey's living room. 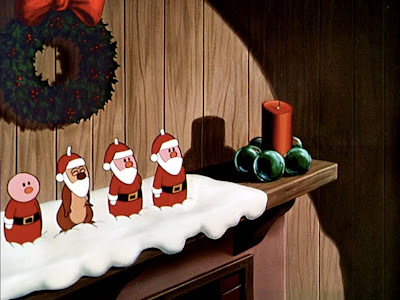 The last frame of the segment includes Mickey on the right. 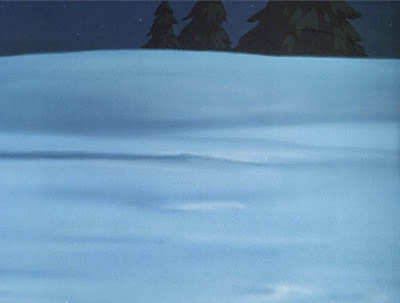 Here's a closer look at the left side of the pan. 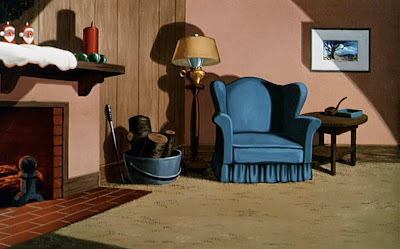 Anyone else grow up with a living room that looked like this in the 1950s? 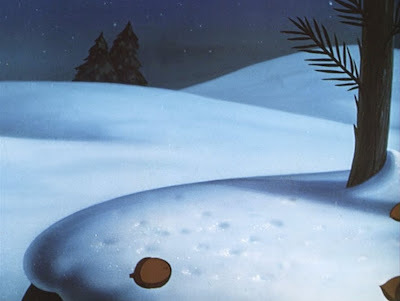 And finally, the yuletide rubble left behind after the skirmish with Mickey, Pluto, Chip and Dale!